Proper estate planning isn’t just about preparing a set of documents – it’s about providing personalized asset protection solutions for individuals and families, as well as their loved ones. Nevertheless, many “professionals” and “trust mills” only briefly (or never) meet with their clients and churn out boilerplate documents with limited provisions and a “one-size-fits-all” approach. At Aanestad Law, we take a superior approach. We take the time through the Aanestad Law Estate Planning Process to get to know our clients as people. During our time with you, we learn about your values, your aspirations and the things that are most important to you. We also learn about your concerns and your fears. From this, we are able to provide personalized solutions to achieve your particular goals and objectives. Aanestad Law understands the estate planning process starts with you and your family. 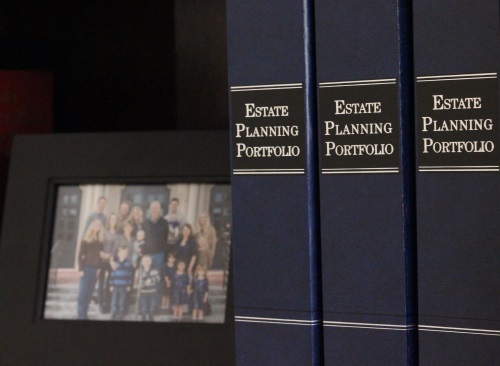 We guide you through the planning process to ensure that all your estate planning goals and objectives are achieved. We also provide highly personalized planning that will protect your loved ones’ inheritance from being lost to what we call “creditors and predators”… through divorce, bankruptcy, lawsuits and financial ineptitude and immaturity. Together, we create a plan with you that protects you and your loved ones from the expense, delay and publicity of the probate process and conservatorship/guardianship proceedings. You will control your property while you are alive. You will also decide how to give what you have to whom you want, when you want, and how you want. Finally, you will have peace of mind in knowing that in the event you become disabled or incapacitated, you and your loved ones will be taken care of in the manner you wish, and upon your death your property and assets will be distributed to your loved ones easily and without unnecessary probate court costs and attorney fees. The biggest mistake people make is not making a personal plan. If you don’t make a plan, the State of California has a plan for you — and it’s not recommended! It involves public probate, conservatorship and/or guardianship proceedings. These proceedings are costly, time consuming, may or may not be in accordance with your wishes. Further they can cause familial conflict and can be emotionally burdensome on your relatives and loved ones. Teaming up with Aanestad Law ensures you will be in control of your property if you pass away or become incapacitated and your loved ones will be taken care of in the manner you want. For client convenience we offer flexible scheduling and even home visits when necessary. Complete the form to schedule a FREE Estate Planning Consultation with Erik or Tiffani. The use of the Internet or this form for communication with Aanestad Law or any individual member of the firm does not establish an attorney-client relationship. Confidential or time-sensitive information should not be sent through this form.